Chris Suprun, one of two Texas Republican electors who refused to vote for Donald Trump in the Electoral College, says he was twice turned away from voting in the general election. 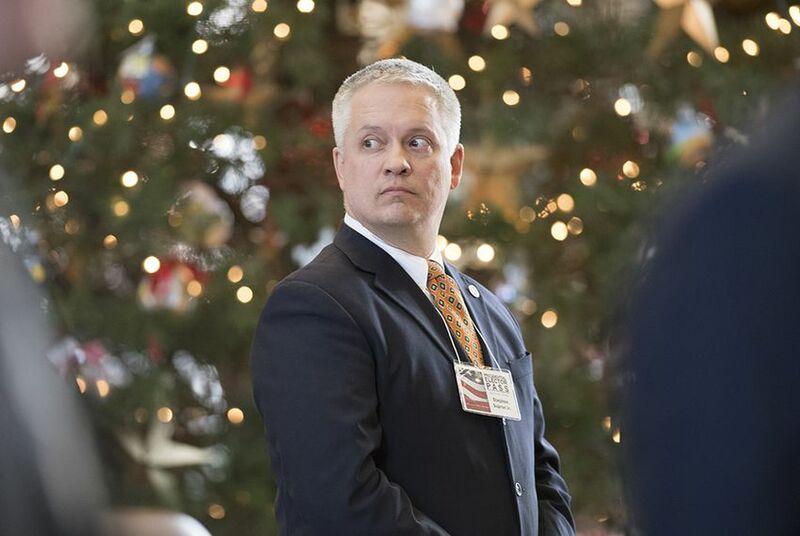 Chris Suprun, a Texas Republican elector, caused a stir this year by raising the possibility that he would cast his Electoral College ballot for someone other than President-elect Donald Trump. Journalists bombarded the Dallas man with questions following his admission. Among them: For whom did he vote in November? He didn’t vote, it turns out. But he says he tried. “I would have voted for myself. I didn't get that chance,” Suprun told The Texas Tribune. Suprun chose Ohio Gov. John Kasich in the Dec. 19th Electoral College vote. (Trump nabbed 36 of the 38 Texas ballots.) When he tried to vote weeks before, he said, poll workers denied his general election ballot for want of photo identification. The self-described "voting addict" was an apparent casualty of the confusion amid legal wrangling over the state’s 2011 voter ID law. Now, Suprun is calling for courts to clarify the rules once and for all. In July, the U.S. 5th Circuit Court of Appeals ruled that Texas' voter ID law discriminated against voters in minority groups less likely to possess one of seven accepted types of identification. The state has appealed that decision to the U.S. Supreme Court, and Ramos is weighing whether Texas discriminated on purpose. He wasn’t the only voter alleging difficulties this year. Civil Rights advocates documented scattered reports of Texas poll workers sharing incomplete or inaccurate information about ID requirements. “It needs to be clear, so it’s enforced clearly. Whether we like it or not, those cute little signs on the side of the road that say 65 or 75 [miles per hour], everyone knows: Don’t go more than five over,” Suprun said. The elector’s voting troubles didn’t end at the Glenn Heights polling spot. In hopes of keeping his voting streak in alive, Suprun said he tried voting at a second location — even cutting short an out-of-state trip to do so. There, he was told that someone had already voted under his name elsewhere — at Bear Creek Community Church in Irving. He said he notified the Dallas County elections division about the irregularity, but had yet to hear back. The division did not immediately return a message from the Tribune. Perhaps it was a bureaucratic snafu — someone signed on the wrong line, Suprun suggested. Or perhaps it was something else. He wasn't sure. “I don’t know what’s going on with Dallas County voters,” he said. All but two of Texas' 38 electors voted to officially put Donald Trump in the White House, with one elector casting a ballot for Ohio Gov. John Kasich and another voting for a fellow Texan, former U.S. Rep. Ron Paul. Lt. Gov. Dan Patrick said that a Texas Republican elector's decision not to vote for Donald Trump may lead state legislators to pass a law requiring electors to support the winner of the statewide popular vote. A busy Election Day saw scattered reports of hiccups including ongoing voter ID confusion and the sudden death of an election judge.